Ryan George Kittleman, author of The Great Peace, is kind enough to be answering some questions today on our blog. After reading about The Great Peace and Ryan's writing process, please be sure to enter the giveaway for a print copy of the book. A small American city is under siege. A group of starving artists – led by a reclusive, sweatpants-wearing billionaire – is determined to overthrow the government by any means necessary. With little hope for peace, a neurotic young gadabout, fresh off a failed suicide attempt, takes it upon himself to save his hometown from ruin. Along the way he encounters revolutionaries, nitwits, weirdos, perverts, dreamers, and something called Danceramics. Humorous, absurd, and often profound, The Great Peace takes on art, politics, philosophy, and class with unflinching verve and wit. Hi Ryan, thank you so much for answering some questions for the readers of Bibliophilia, Please. I have to ask you first, what inspired you to write The Great Peace? I've been in and around the art world in one form or another for most of my life, so my mind naturally drifts in that direction. Art brings out very strong and often polarizing opinions (useful in constructing a narrative) and there's certainly no shortage of eccentrics, so I didn't have to look far for interesting characters. What began as a series of “small” ideas and vignettes eventually grew into a fully-formed narrative. What was the hardest part of writing The Great Peace? I like to say that the hardest part of writing is the writing itself. I was able to knock out a very rough draft in about two months, but that required sitting down for eight hours a day, seven days a week. So habit and routine are important, then you have to make sure that the routine doesn't wear you down or affect the quality of the work. I can't pinpoint the exact moment, but the notion planted itself every early on. I've always been an avid reader, so I think my desire to write grew out of that love. Which books would you say have influenced your writing, and life in general, the most? Wittgenstein's Mistress by David Markson is one of those books that truly rewired my brain and changed my perspective on what is possible in narrative fiction. I'm also a big fan of Tom Robbins - his books are eccentric and eclectic, bizarre and profound, and above all, hilarious. What made you decide to publish independently, and what would you say to someone who is hesitant about reading an independent author? Kevin Krohn, author of Latter-Day of the Dead, mentioned the some similarities between independent music and publishing during my interview with him in March. As someone in the music industry, have you seen those similarities and/or experienced that disconnect regarding The Great Peace? The parallels are striking in many ways. Music had about a ten year head start of course, but now there's a variety of tools and resources that any musician can use to record, distribute, and promote their work. Record labels, while still important in some regards, are becoming increasingly irrelevant because virtually anyone can start a label. I think the publishing industry has learned from the mistakes made by the music business by embracing technology while continuing to protect their (already slim) profit margins and intellectual property. Independent publishing still has a long way to go, but I'm optimistic about the future. Point Counter Point by Aldous Huxley, an author I'm kind of obsessed with. Like most of his books, it's a little slow going at times, but there's always a profound humanity in his prose that is quite striking. Are you working on another project? If you can, tell us a little about it. I'm currently halfway through the first draft of new novel which is something of a departure from The Great Peace. So far, so good. Thank you so much, Ryan, for being here. It was a pleasure to interview you. The giveaway is for US residents ONLY (International readers, there are OTHER GIVEAWAYS that you can enter.). There are minimal entry requirements on the Rafflecopter. 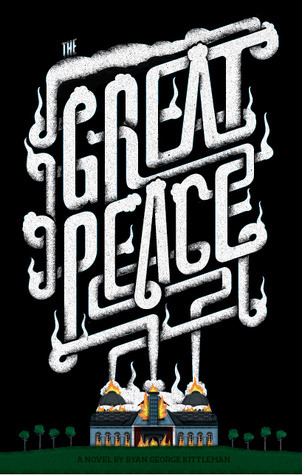 If you can't wait, The Great Peace is on sale now at Amazon and Barnes & Noble. Also, be sure to add it to your TBR on Goodreads! 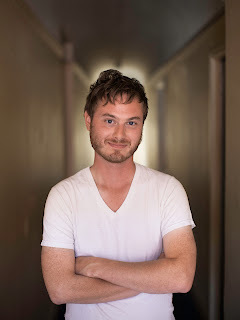 San Francisco-based arts attorney Ryan George Kittleman is the founder of Colony Pictura, a law firm representing filmmakers, artists, musicians, designers, authors and other creative minds. The New Yorker left his hometown of Albany for college in Maine, and eventually landed in the San Francisco Bay Area as an indie bookseller at Books Inc. in Mountain View. The Great Peace is Ryan’s newest way of delving further into the arts. His novel released May 1, 2012, from Exploding Books, an imprint of Timbre & Yarn. Be sure to follow Ryan on his Website, Facebook, and Twitter to stay up to date on news about The Great Peace and other projects!